Bluegill Energy’s certified professionals provide independent third-party consultation, inspection, commissioning, performance testing and verification services to meet your residential and multi-family energy code and eco-friendly green building needs. With more than 15 years of experience, we can help make sure that your contractors comply with all of the requirements of residential or commercial energy codes or various green building programs and alleviate any concerns you may have. We can also provide builder and contractor pre-construction training to help minimize delays resulting from incomplete inspections. We strive to provide exceptional customer service in a timely manner for all of our clients, big or small. Let Bluegill Energy’s trained and certified professionals help you complete your projects in a consistent and timely manner. 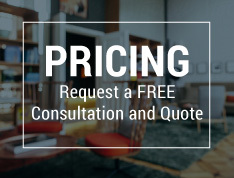 Contact us for your free consultation and pricing.